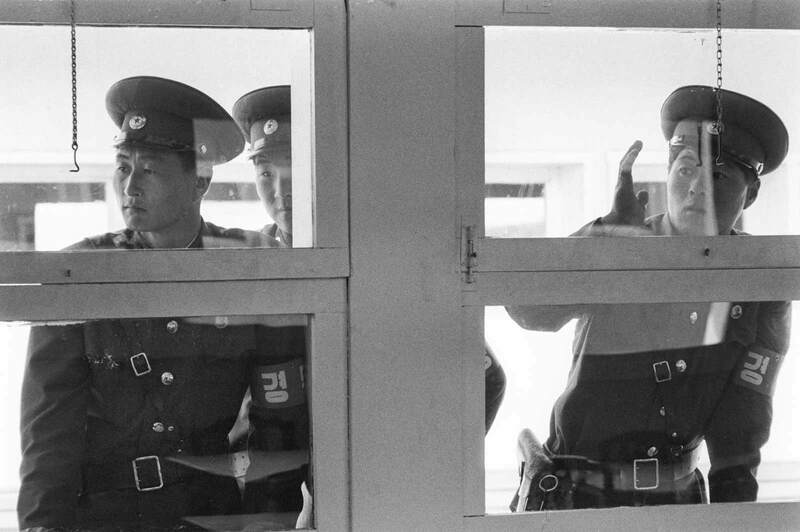 Watching & Waiting: Korea’s Border in 1979 – Sig Nordal, Jr.
March 4, 2018 Sig Nordal, Jr. In 1979 I took a United Service Organizations bus tour from Seoul to the DMZ. Once there, we were admitted to a conference room that straddled the border. North Korean soldiers peered in at the windows. My negatives from that day sat collecting dust on a shelf for nearly forty years. Seeing the images for the first time, I’m struck by the choreography of the soldiers on either side of the border; they seemed to be involved in an intricate dance of watching and being watched. There was a paradoxical intimacy to the encounter despite the great unknowing. Previous Article This weekend, the annual Iditarod race kicked off in Alaska….